The case is pretty simple and just slides onto the iPhone in two pieces. It gives you access to all your switches and buttons but if you need to clean your camera lens, you’ll have to take the case off. The top third and bottom third are covered with a grippy//rubber material. The center is a smooth plastic. I think the whole thing should be covered in the rubber material. The smooth plastic is already getting scratched. 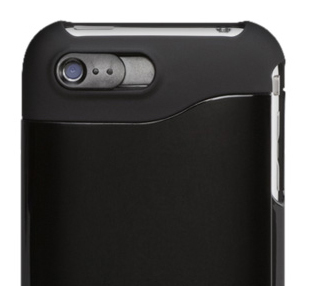 The strength of the case seems very durable and will protect your iPhone. There is also a stick on screen protector that comes in the box along with a cleaning cloth.